Learn about the program, how you can get involved, and how it works! Support your team, help to change our GB athlete's life, improve your game and represent the Red Shield! Gracie Barra Oceania, together with the GB Schools and students in Australia, have helped develop our GB Oceania Ambassador Program to support, value and grow our GB athletes to their full potential. In 2017, we had an extremely successful year, where our GB Oceania Ambassadors managed to rank as the top athletes within Australia. In addition to the fantastic performances in Australia, we saw Jet Yee win the Abu Dhabi Youth World Pro, Karen Naisoro get silver at the IBJJF World Championships, and Erion Ramljak get silver at the IBJJF World No-Gi Championships, in the first year! These successes continued in 2018, with Jet Yee and Anthony Bornman placing second at the UAEJJF Youth World Championships, and Isaiah Lazaro taking bronze at the IBJJF World Championships. The GB Oceania Ambassador Program for 2019 is valued at over $75,000. The Adult Male & Juvenile Blue Belt division includes Juveniles as they are able to fight in the open weight divisions. This would make it unfair to include them in the Kids division. A committee of GB School Owners and Instructors will make the decision on how the funding shall be allocated depending upon the size of the fund. The GB Oceania Ambassador Program can be amended throughout its entirety to ensure a sustainable program that can benefit all members of the GB community. Funding that is gathered through events specifically targeted for children will be allocated directly to the Kids GB Oceania Ambassador Program. Similarly, the funding raised through the events for adults shall be used solely for the Adults GB Oceania Ambassador Program. GB Shop Oceania - Every 2019 Red Competition T-Shirt and 2019 Red Competition Jumper sold by GB Shop Oceania will donate $7 towards the GB Oceania Ambassador Program. To purchase the Adults 2019 Red T-Shirt, click here. To purchase the Kids 2019 Red T-Shirt, click here. GB Training Day (NSW & QLD) - Sunday 19th May (NSW) & Sunday 18th August (QLD) - This day will involve our GB Oceania members of all ages learning from our black belts. The entire registration fee will go towards the GB Oceania Ambassador Program. To check out the photos from the GB Training Days, please click here. GB Compnet - Sunday 15th September - The GB Compnet is our internal competition, which sees students compete to develop themselves further as martial artists and as individuals. $5 from every registration fee, and $2 from every spectator fee, will be allocated directly to the GB Oceania Ambassador Program. Click here to check out the photos for the GB Compnet Sydney 2018! 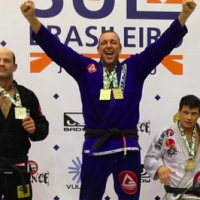 GB Special Private Training - The Professor, Coach or Ambassador will pick a specific BJJ subject, for example, the closed guard, to work for 4 hours, on a Saturday or Sunday. The session will be split into two 2 hour blocks, with a fifteen-minute break in between. The sessions will operate with ideally a group of a minimum of 10 and a maximum 16 students. Part of the registration will go towards the GB Oceania Ambassador Program. To learn more about the GB Special Private Training, click here. Our aim is for as many members of the GB community to participate in the program as possible. By doing so, we will help our competition team grow while improving as students as well. By participating in our events throughout the year, the GB Oceania Ambassador Program will grow through the year and enable us to potentially expand in the years to come. While the GB Oceania Ambassador Program is directed at our athletes, other members of the GB community will see benefits as well. 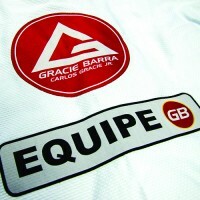 Not only will the level of training improve, but the GB community will witness a greater alignment in the values and philosophies that are encouraged by Gracie Barra, and therefore will enable the culture within GB to flourish and be nurtured to create a stronger, more successful and bigger team than ever before. 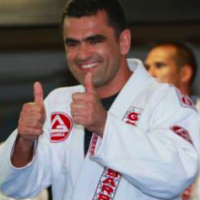 School Owners and Instructors should aim to participate in the GB Oceania Ambassador Program in order to help their students develop along their Jiu-Jitsu journey. Their participation will not only help the GB athletes but will also see an improvement in technical skill of their students through our GB events. Further, the Instructor's participation will encourage their students to participate in GB Oceania's events. 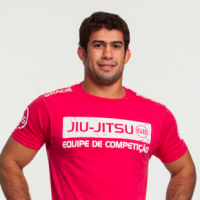 Students will see an overall improvement in their Jiu-Jitsu. The technical skill will improve through the participation in the events throughout 2018, but also the culture, values and philosophies of GB will become more evident as the GB community becomes stronger. The GB Oceania Ambassador Program will provide the athletes with support from the GB community in their endeavor to achieve their dreams. They will be supported through their training and, if they receive the Ambassadorship, will receive benefits that will help them reach their goals. 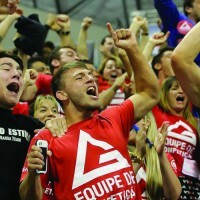 The GB Oceania Ambassador Program provides a great opportunity for the entire GB community to strengthen and grow together, keeping the core values of Gracie Barra; Brotherhood, Integrity and Expansion. - Visibility and recognition on GB social networks. Our aim is for the GB Oceania Ambassador Program to grow in the future. This may involve the potential for financial incentives in the future, but this could only be a possibility through constant involvement by everyone in the GB community. The Committee of GB Instructors and School Owners, as well as GB Oceania, reserve the right to change any benefits to the GB Oceania Ambassador Program depending upon financial viability. - Participate in eight (8) out of eleven (11) of the Monthly Competition Training at GB Oceania HQ. * For the Monthly Competition Training, attendance will be counted for your participation. Even if you cannot train due to injury, attendance is important to build the team spirit and strengthen the GB team. Participation in the GB Oceania Monthly Competition Training sessions is not a requirement for those that are based at a GB Oceania School outside of New South Wales, or any child at any GB Oceania School, regardless of their location. ^ For the Adult Male Blue belt and Purple belt divisions, athletes must compete six (6) times on that belt to be eligible for their division. If they are promoted to a new belt, they must compete six (6) times on that new belt in order to remain eligible for their new division. For the Adult Male Brown and Black Belt division, Adult Female Blue/Purple belt division, and Kids division, they must compete six (6) times throughout the year. For the Adult Male Brown and Black Belt division, Adult Female division, and Kids division, they must compete six (6) times throughout the year. - Wear the full GB Uniform. GB Head Instructors must complete the GB Oceania School Certification Program in 2020 to be eligible to have GB Oceania Ambassadors in 2021. We are giving one year notice, so everyone has plenty of time to be aware. GB Oceania Ambassadors will have a number of conditions placed upon them for the duration of their Ambassadorship. These may include, but are not limited to, their social media presence, marketing, training etiquette, alignment with the code of conduct, GB official uniform, use of the 2018 Red T-Shirt and Hoodie, ICP6 (or the most recent ICP) and participation at our events. We are going follow the Australian ranking so it would be easier to control the athlete’s points. For the competitions that are not on the Australian ranking, the points would be given according to a table created and published by GB Oceania. For more information, click here! Please note that the following does not apply to the Kids division, Female Blue/Purple Belt division, or the Male Brown/Black division. For these divisions, the points will still be accumulated even if there is a belt change from blue to purple. If an athlete wins the Ambassadorship for a belt, but is then promoted to a new belt at the end of the year, they will still win the Ambassadorship for their old belt level. For example, if a blue belt wins the Ambassadorship but is promoted to purple belt at the end of the year, they will still be eligible for the blue belt Ambassadorship. If an athlete is promoted to a new belt in the middle of the year, then they will be moved to the new division. Their points will not be carried over. 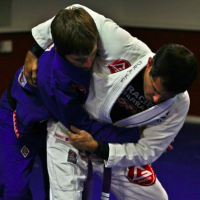 For example, if a blue belt athlete is promoted to purple belt in the middle of the year, they will keep their position in the blue belt division, but will join the purple belt division. All points from that point onwards will be awarded in the purple belt division. They will start in the purple belt division on zero. In the unlikely event that an athlete successfully secures an Ambassadorship for 2018 in both divisions, then they will be awarded the Ambassadorship for the higher belt division, not their previous belt. Please note, as mentioned above, the Adult Male Blue belt and Purple belt divisions, athletes must compete six (6) times on that belt. 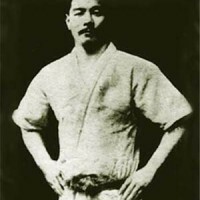 If they are promoted to a new belt, they must compete six (6) times on that new belt in order to remain eligible for the GB Ambassador Program. For the Adult Male Brown and Black division, Adult Female division, and Kids division, they must compete six (6) times throughout the year. The GB Awards Night in Saturday 30th November 2019 with a presentation of the athletes that will be part of GB Oceania Ambassador Program in 2020. Click here to check out the photos from the GB Awards Night 2018! For Instructors, more detail on the GB Oceania Ambassador Program can be found here. You will be able to find the details about the finances, eligibility of students and attendance at GB Oceania Monthly Competition Training sessions. View the GB Oceania Internal Rankings here!